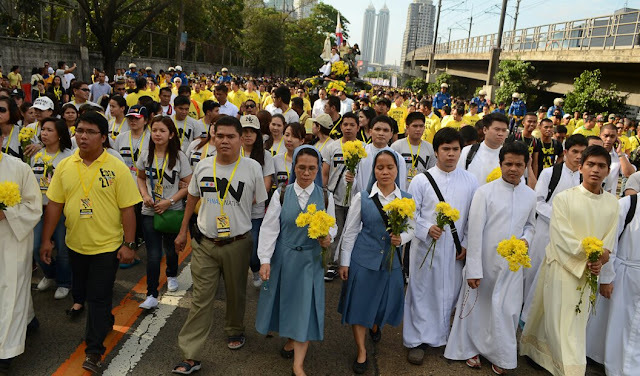 I was 10 when Edsa 1 took place, classes were suspended, F-4 jets were flying overhead, but first and foremost, what counted to me and my sister was that there were no classes for that week. 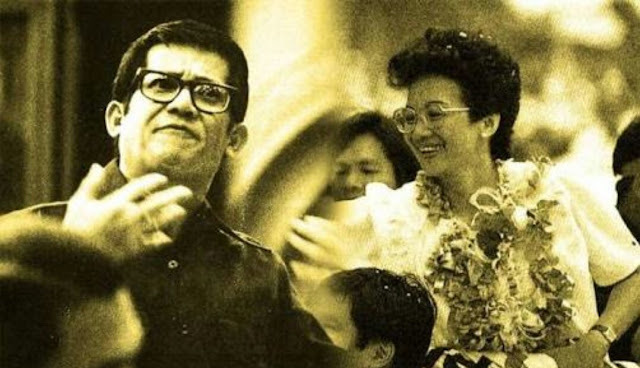 We, as a nation had a "bloodless revolution" - we had ousted the Marcose's and put into power Cory Aquino. Apparently she was robbed of her mandate during the election count, where NAMFREL had declared her as the winner and COMELEC said otherwise, where we saw the walkout happen during the quick count, and the rest was history. I feel that a lot of the things that we went through as a nation during EDSA 1 has taken us nowhere. Most of the key players during the MARCOS regime weren't made accountable for their actions, and the roles they played during the Martial Law period...such as Juan Ponce Enrile and Fidel Valdez Ramos, Defense Minister and Police Constabulary chief respectively. If former President Marcos was as bad as they paint him out to be, then why build so many schools that further improved people’s literacy ? Why bother developing the country’s infrastructure that would enhance the economy? With an independent and highly functioning society, the gov’t wouldn’t need to impose Martial Law. And Dictatorship would certainly be resisted. If somebody were a true dictator and as corrupt to the core, he would create conditions that debilitate the country and incapacitate the very people he wants to rule over and steal from– through an unending cycle of poverty, miseducation, dumbing down of the culture through corporate media and depriving them of elevated culture. Is this being a pro-Marcos? It’s just a perspective. No need for labelling and putting things into boxes that only bring discussions to a dead-end. Who knows, maybe the truth might be too complex that even the scholars and historians aren’t ready for it. "There were three times more arrests per year under Cory than under Marcos: 3,627 against 1,960. The average of those killed and disappeared during Cory’s watch was 244 annually, which isn’t too far from Marcos’ 296. "Now, as they want Marcos Jr. to apologize for the human rights abuses under his father’s government, shouldn’t they ask President Benigno Aquino 3rd and his sisters to apologize for those during their mother’s time?" People aren’t afraid to kill. They need to be in order for the bloodshed to cease. I’m not an attorney but you just need to look at the speed of which our courts prosecutes criminals. It is inherently slow and inefficient. The amount of cases that continue to pile up on our courts is insane. Prosecuting everyone of these addicts, pushers, and lords take time as well as money. You honestly can’t expect our criminal courts to handle these cases at their present volume. It’s no wonder our people are restless and no longer see the point of following rules. Petty crimes such as pickpocketing or theft are rampant because criminals aren’t even afraid of getting caught. If criminals don’t fear the law, then what’s the point? 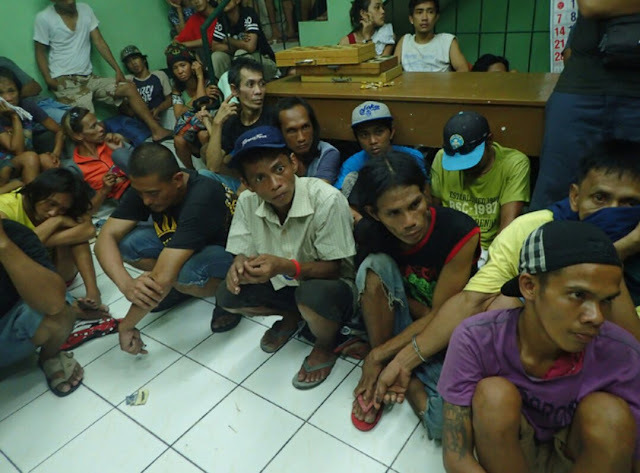 The killings from both parties–cops, vigilantes, and criminals–will stop if they see that pursuing such actions is unworthy of their time. People aren’t afraid to kill. They need to be in order for the bloodshed to cease. 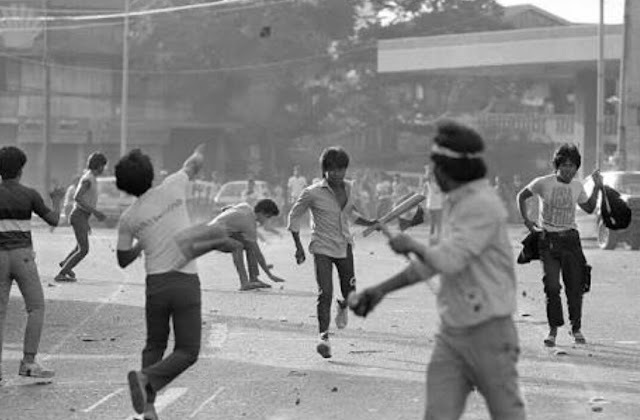 Violence IS the Filipino’s preferred solution. It’s the way humanity has solved things since time immemorial in the absence of other solutions. Civilization is the deliberate abrogation of that basic human drive, and it’s not as simple as just writing some laws and paying some people to dress in police uniforms or judge’s robes. Without the underlying ideas, all you end up with is a sham and a money sink – which is indeed what we have here. 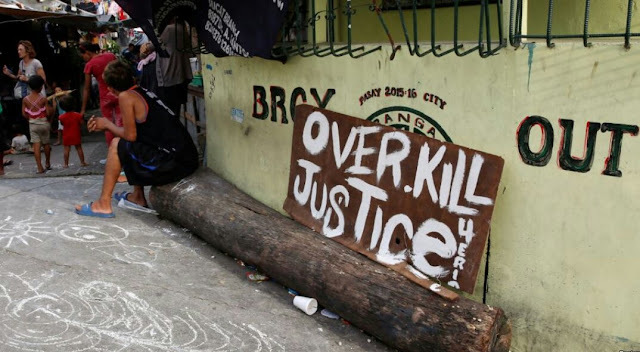 Filipino society is “backward” in the objective sense of the word: living here is like living in the 17th century. It’s literally like stepping back in time. I recognize the culture and mode of living from descriptions of my own country … 400 years ago. Apart from the weather, and the presence of some pointless anachronisms (eg., tricycles), it’s EXACTLY the same. On paper, it’s the leaders who are responsible for upholding the law and protecting individual rights. The problem? Apart from not following those oaths, Duterte’s platform has basically been about killing criminals. That’s what got him elected, his populist rhetoric that he will solve our utmost problems by doing this and that. It’s the people who believed in his way of doing things and eventually handed him the reins. It’s the people’s responsibility to elect a leader, therefore, they get what they vote for. You want to sell your version of justice? Prove that it works. The reason why violence is the preferred solution is because the ‘other’ solution is deemed ineffective. 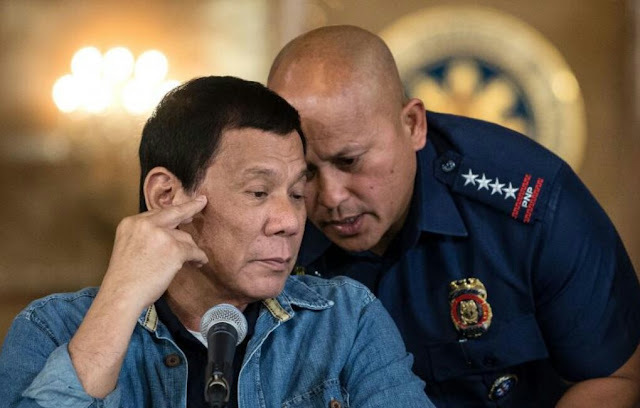 Yap all you want about the benefits of love and compassion as well as upholding the rule of law but if they do not deliver the results, it won’t be the go-to solution. This is why vigilantism exists because the institutions that are supposed to combat these problems are ineffective. You want the violence to lessen? Then do a better job of showing the ‘other’ way works. No, denouncing the current administration by saying you are against their policies isn’t going to work. The trick is to show the people that their way of doing things aren’t any better and that the slower but more effective approach does. Some senators say that the budget of the CHR should be restored, because, no matter how people feel about the CHR’s current leadership, the agency is mandated by the Constitution to exist. This is a flawed, overly simplistic argument. 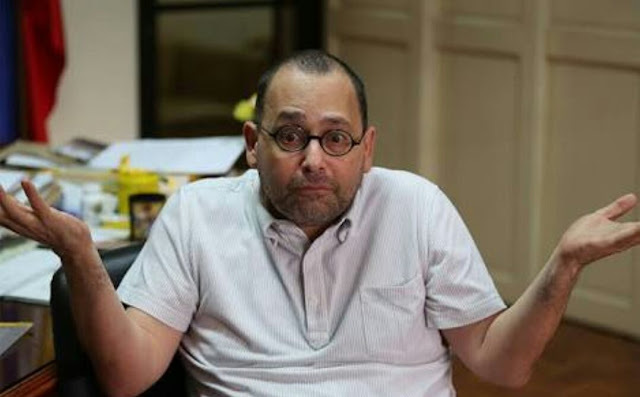 While it is true that the current law of the land decrees that the CHR should exist, the agency has failed to perform its functions PRECISELY BECAUSE it is headed by a brazen partisan like Chito Gascon. 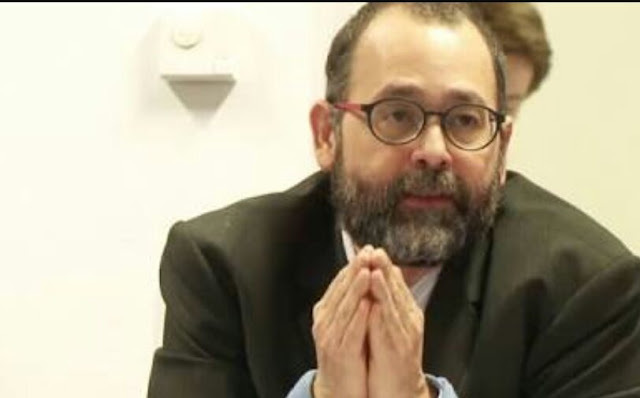 Gascon has been using the agency almost exclusively to advance the propaganda aims of the Liberal Party. The P1,000 budget given by the House of Representatives to the CHR is not about abolishing the CHR per se, but about HOLDING GASCON ACCOUNTABLE. The stupidity and gullibility of the Pinoy news media is once again in full display, thanks to Antonio Trillanes. I thought it was bad enough that the “veteran journalists” couldn’t even get their basic prepositions right — it’s right AGAINST self-incrimination, you morons, not right TO self-incrimination — but seeing how they fell hook, line, and sinker for the useless sheets of paper Trililing waved around as his supposed “bank waivers”, I really think reporters should be subjected to IQ tests before they’re allowed to publish or broadcast any news. Stupidity of this level should be a crime, especially for the self-appointed “chosen ones” who claim to “speak truth to power” [gag / eye roll]. One look at the “waivers” Trililing signed shows they’re not at all usable or enforceable. See the “waivers” here. 1. 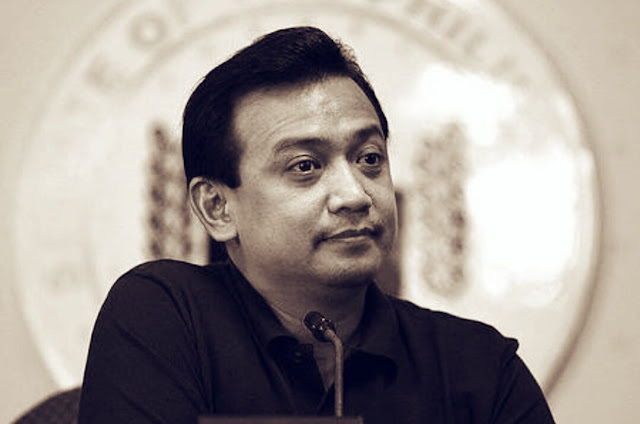 In the waivers, Trillanes claims that the accounts don’t exist. Yet he produced and signed waivers for said accounts. If the accounts don’t exist, why sign waivers for them? Appalling public slobbery on display at LRT Carriedo Station! What is an otherwise historic building in Manila designed with a bygone architectural touch stands marred by a lack of care by an apathetic public. 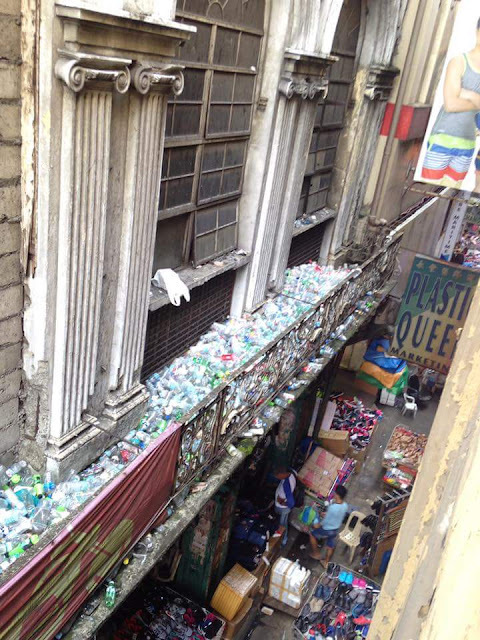 LRT [Light Rail Transit] riders just throw their garbage on the ledge of the nearby building as they pass through the stairwell of Carriedo Station. 😡 May I request my friends to share this until it reaches: 1.) as many LRT users as possible, and 2.) the policy makers of the Manila City Hall and LRTA. Thank you. It is a shame that Filipinos are not only oblivious to that hidden beauties of their capital city, they unmindfully destroy the little that is left. Trililing is a delusional psycho, everyone already knows this. The real question is, why did the other senators allow him stage another freak show at the Senate? Senate President Koko Pimentel’s spinelessness and lack of leadership is appalling. 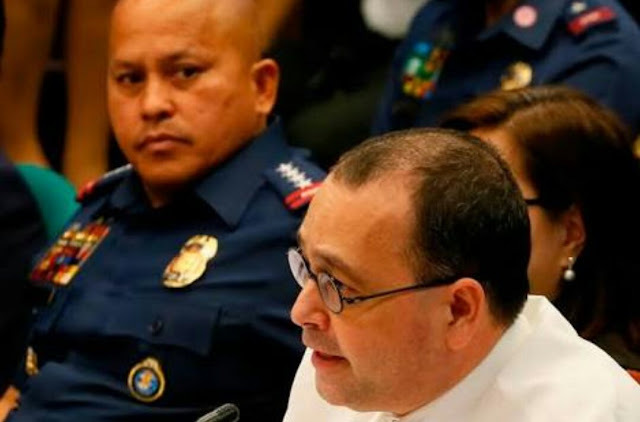 He does nothing while bottom-dwelling scum like Leila de Lima, Trillanes, and Risa Hontiveros use the Senate of the Philippines to repeatedly malign the President and smear the reputation of the country in the international community. I’m not saying President Duterte should be untouchable. By all means, subject his administration to investigations when there is real evidence to do so. But it is so clear that de Lima, Trillanes, and Hontiveros have no evidence. They just want to use the Senate to legitimize their lies and broadcast their crap to the world. 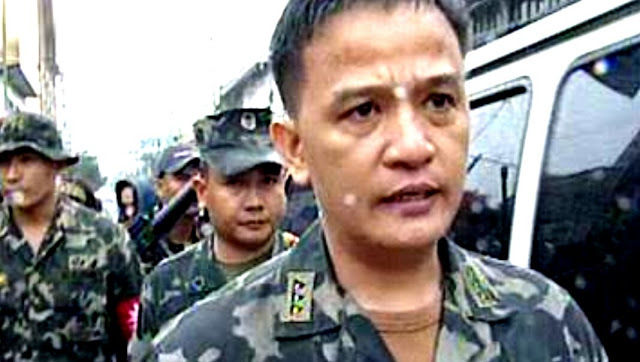 Former Customs Commissioner Nicanor Faeldon is also a former Marine. The stuff he is made of thanks to that Marine training is now on exhibit as he stoically stands up to the political persecution machine that the Philippine Senate has become. This is what real leaders and real MEN are made of. Stoic and steady in the face of adversity. Trillanes to Paulo Duterte: We'll take a photo of your tattoo and send it to my foreign intelligence source to determine from the tattoo which branch of the Triad you are a member of. But he doesn't explain what this "foreign intelligence" is, whether this is from Mars or from his office. It is is astonishing how Trillanes thinks Filipinos are so stupid. 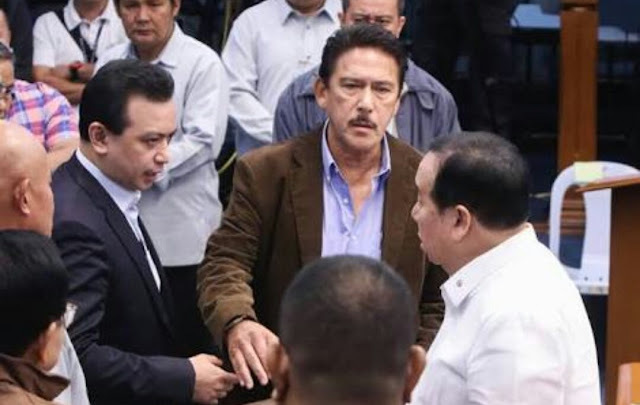 Of course the masa will keep [Senator Antonio Trillanes] in office, and the game will continue unchanged. Personality disorders are so common among Filipinos at large they have trouble spotting it in other people. They think it’s normal. People who act with integrity or concern for others are considered weak. What’s funny about this is that Trillanes is doing exactly what Filipinos want: acting the savior. Never mind that the job of tracking down and questioning (alleged) lawbreakers is the job of the police. The few good men in the police could probably be counted on one hand, so we all know how that works out. 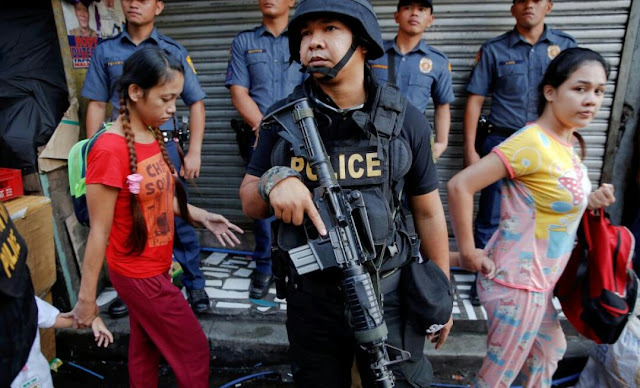 The average voting tambay does NOT want that problem fixed: if the Philippines actually had a functioning police force, he’d probably end up arrested himself. No, far better to see some politician grandstanding on TV, on some personal crusade against 0.0001% of the criminal population. 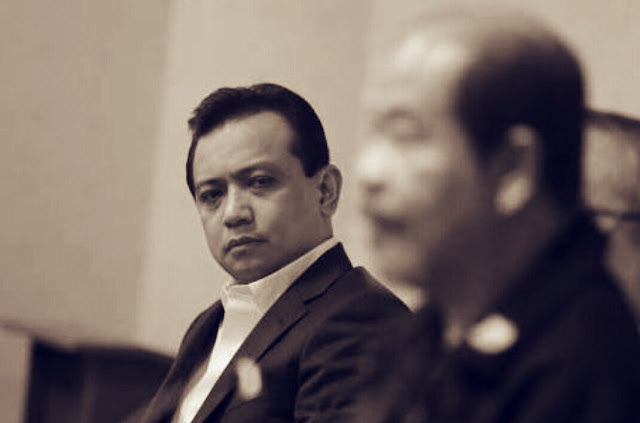 The behavior of Trillanes, is not the behavior of a normal person. He is acting like an “Immature Child”, who gives everybody a hard time; if he cannot get what he wants. Those who voted for this “Clown Trillanes”, should be ashamed of themselves. Or, he won, like Leni Robredo in the election, because of the Andres “Si Latigo” Bautista COMELEC HOCUS PCOS and SMARTMAGIC. Trillanes has no shame, on himself. He does not even have an iota of civility ! He was the “Running Dog” of Pnoy Aquino, during the Aquino’s term. He went on a backdoor diplomacy in China; that resulted in the occupation of the Scarborough Shoals. He and Aquino, may had sold these shoals to China.